Young children as victims of violence are becoming a clich of psychological thrillers, but for those who haven't tired of the plot device, there's plenty to like in D'Amato's (Good Cop, Bad Cop) latest. 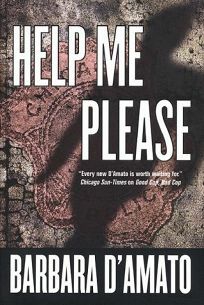 The author of the popular Cat Marsala series introduces a new character here, Chicago police detective Polly Kelly, who spends five frantic days trying to track down the kidnappers of three-year-old Danielle Gaston, snatched from under her parents' eyes in the city's Holy Name Cathedral. The child is the daughter of country and western singer Maggie McKittredge and Missouri Senator Neal Gaston. The high-profile nature of the crime puts a lot of unnecessary pressure on Kelly, who's already dealing with her own depressed and possibly suicidal mother, who has recently moved into Kelly's home. To make matters worse, the kidnappers are members of Bandwidth, a high-tech terrorist group who have set up a real-time Web site showing Danni starving to death in a barren room. The disturbing footage is broadcast all day by TV stations throughout the world, generating a public outcry to comply with Bandwidth's ultimatum: the release from prison of its leader and master strategist, Johnnie Raft. Kelly won't budge on that demand, even though she's just about breaking from the emotional toll of seeing little Danni grow weaker by the hour. All of D'Amato's storytelling skills are here--a lighting-fast plot, engaging characters, deftly dropped clues and an earthy Chicago atmosphere--though the incessant image of the televised, starving toddler seems an excessive and abject means to propel the story. But newcomer Kelly is an engaging protagonist, a tough, politically savvy cop with a well-developed, potentially explosive, personal side. (Oct.) FYI:D'Amato is president of the Mystery Writers of America.